By Aman Tiku / Nov. 12, 2017, 4:39 p.m. This September, Japanese Prime Minister Shinzo Abe dissolved the lower house of the Japanese parliament and called a snap election a year in advance. In justifying his decision, Abe stated that he wished to gain a clear “mandate from the people” on his handling of the North Korean issue so as to forge ahead with “strong diplomacy.” On October 22, Abe’s Liberal Democratic Party (LDP) won a two-thirds majority in the lower house of parliament, significantly increasing his chance to extend his premiership another three years and become the longest serving prime minister in modern Japanese history. Abe’s latest victory is particularly significant: in the wake of growing tensions over North Korea, Abe is likely to use this geopolitical situation to successfully push for an amendment to Japan’s postwar pacifist constitution during the remainder of his premiership. The modern Japanese Constitution was established during the post-World War II Allied occupation of Japan to replace the country’s near-fascist dictatorial monarchy system with a liberal democracy (as well as to negate any communist pressures from the Soviet Union). The constitution has never been revised since its inception in 1947. Its most controversial provision has always been Article 9, which declares that “the Japanese people forever renounce war as a sovereign right of the nation and the threat or use of force as a means of settling international disputes.” Although Japan does have an armed security force, the Japan Self-Defense Forces (SDF), this organization is not the same type of standing military force that nations such as the United States rely on. Many Japanese conservatives want their country to regain the military authority and influence that they deem “normal” for a country in Japan’s position to wield. One such individual is Abe, whose family has always been deeply involved in Japanese politics (his grandfather, Nobusuke Kishi, was a member of Hideki Tojo’s cabinet during World War II and was prime minister from 1957 to 1960). Since Abe was re-elected for the first time in 2012, the Japanese government has eased back on the pacifism of Article 9. In 2014, the government reinterpreted Article 9 as allowing the SDF to defend Japan’s allies—a move supported by Japan’s principal ally, the United States, but criticized by opponents at home because Abe dodged the constitutional amendment process. North Korea has always been a delicate topic in Japanese political circles, given the rogue nation’s perpetual unpredictability and proximity to Japan, but recent tensions have only intensified the ongoing debate over Article 9. In recent months, North Korea has launched two ballistic missiles over Hokkaido, Japan’s northern island. Such provocations have been a stark reminder for many Japanese citizens of the danger North Korea presents to a nation whose laws handicap its capacity for a military response, or even any demonstrations of force. Abe aimed to calm worried Japanese citizens in his response to North Korea, asserting that his government would “never tolerate” such actions. But talk against North Korea is becoming increasingly cheap. Abe’s decision to call for a snap election a year before Japanese elections were scheduled to be held was a legitimate call to action for Japan. It reflects a shrewd political maneuver on Abe’s part: knowing that the North Korean issue is becoming a more central point of contention in Japan’s political discourse than ever, Abe asked the Japanese people to throw their support behind his anti-pacifist philosophy and give him a political mandate to confront the crisis at hand with greater leverage. The results of the snap election speak for themselves. The LDP’s victory has only further strengthened the standing of Japan’s most powerful postwar political party, with Abe presumably at the helm for 3–4 more years. Abe has been transparent about his goal to revise Article 9 by the year 2020. The LDP’s victory has important implications for the future of the Japanese Constitution because the party won a two-third majority in parliament (the number needed to propose a constitutional amendment). Though any such change to the wording of Article 9 could be viewed as only symbolic in nature, a legitimate revision of the constitution would still reflect a significant shift in Japan’s long-term stance towards militarism in general—certainly more so than the previously discussed reinterpretation did. In addition, such a move would allow Abe to take advantage of a real confrontation revolving around North Korea in the Asia-Pacific and use the situation to expand Japan’s military power further. Abe asked for a mandate on North Korea, but what he really wants to do is dictate the future of Article 9. Opposing North Korea is a critical objective for Abe’s government but is nonetheless superseded by his Article 9 agenda. The political debate on altering Article 9 is very slow and has often been totally stagnant in Japan’s postwar history. Abe gambled by calling a snap election to accelerate this goal of his, and it appears that his calculated political risk is going to pay dividends. The United States’ support will only further embolden Abe in his mission to amend Article 9. While the United States was adamant about imposing the pacifist restrictions of Article 9 on Japan in the immediate aftermath of World War II, that decision was a product of its time. Japan had just fought and lost as the aggressor in the deadliest conflict in human history, and would require substantial political and economic guidance by the United States to become a stalwart pro-US liberal democracy in the Asia-Pacific. Now that Japan has been refashioned into that country, the US has begun tacitly supporting pro-militarism efforts by Japanese politicians because increasing Japan’s regional presence amounts to an extension of pro-US interests in the Asia-Pacific. President Donald Trump, erratic as he may be, will likely become a great asset for Abe because Trump’s upfront nature aligns well with Abe’s endeavors concerning Article 9. Trump reportedly wanted Japan to shoot down the two aforementioned North Korean missiles and apparently asked why Japan would hesitate to do so, given its “samurai warrior past.” Glossing over the glaring cultural insensitivity those comments exhibit, Trump’s desire to see Japan take a more militaristic stance against North Korea should be music to Abe’s ears. The convergence of domestic and international factors has never been better to pursue Article 9 revisions. The threat of North Korea looms large, the leader of Japan’s greatest ally wants to empower Japanese militarism, and the Japanese people have just handed Abe the political capital he needs to make it happen. The North Korean issue is very significant to the Japanese public and their political leanings. Abe recognizes this; he called this snap election at an opportune moment to exploit the precarious geopolitical situation North Korea has created for Japan and the Asia-Pacific to support his ultimate goal: the constitutional revision of Article 9. If Abe can accomplish that task and return Japan to the standing military norms he believes the country requires, he will have set in stone the most enduring and controversial aspect of his political legacy. Such an act would almost certainly have a reverberating impact on Japan, its relationship with the United States and the Asia-Pacific region at large for years to come. That being said, an amendment to Article 9 will not happen overnight. For an amendment to be successful, it must be proposed by a two-thirds majority in both sections of Japan's parliament and must be sanctioned through a referendum by a majority of voters. 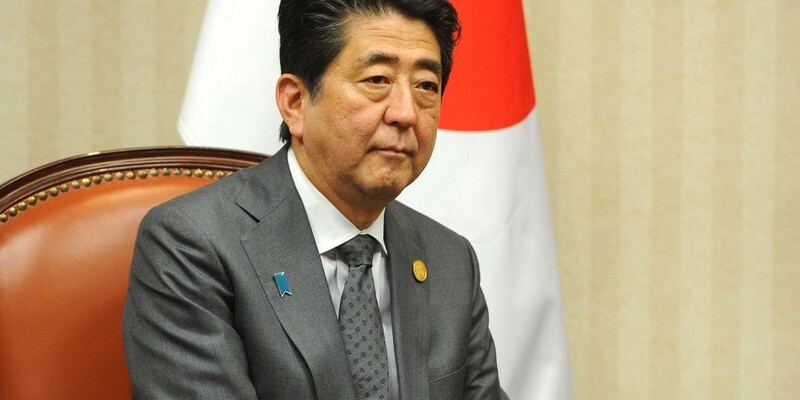 But with Japan at risk of becoming one of North Korea's first targets in a legitimate international crisis in the Asia-Pacific, Abe will continue his earnest pursuit of a more militaristic Japan unhampered by the decades-old pacifism of its postwar constitution.